On July 4th my husband and I drove to Greenville, Ohio for his aunts 90th birthday get together. 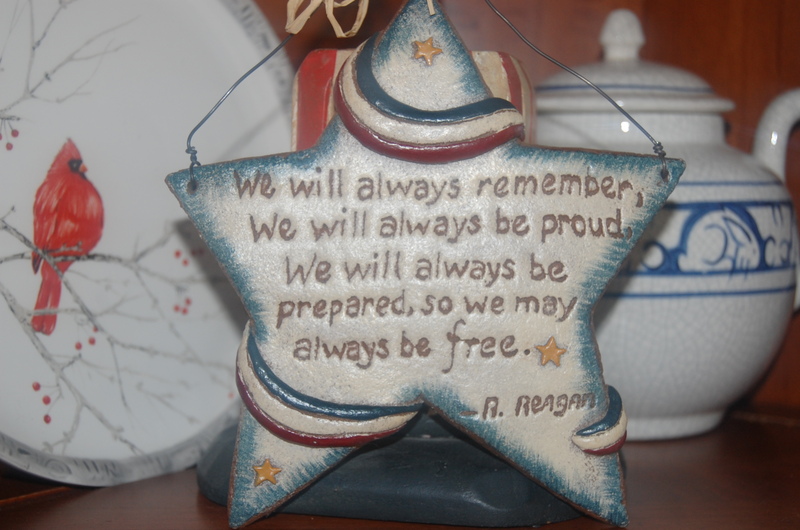 But before I show you my pictures I needed to start out my post with a Ronald Reagan quote. 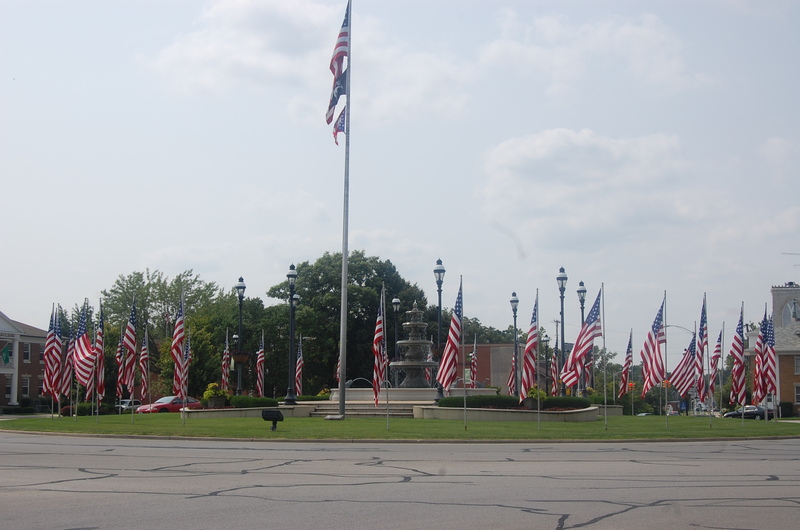 In the city of Greenville, they had a round a bout and it was lined with flags. A very impressive site. The family had the birthday get together at the Saint Clair Manor. 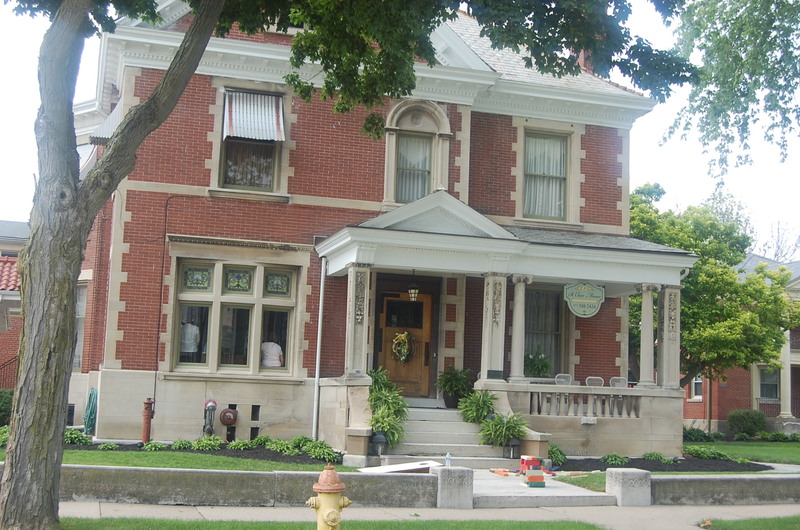 I could not find much history about it but this: St. Clair Manor Elegance. Convenience. Service. 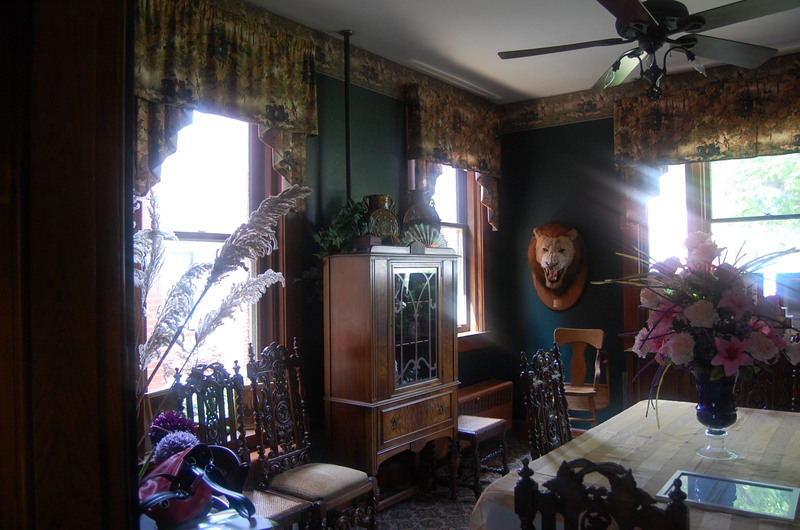 Built during the Victorian Era, the St. Clair Manor offers the elegance of days gone by with today’s modern conveniences. 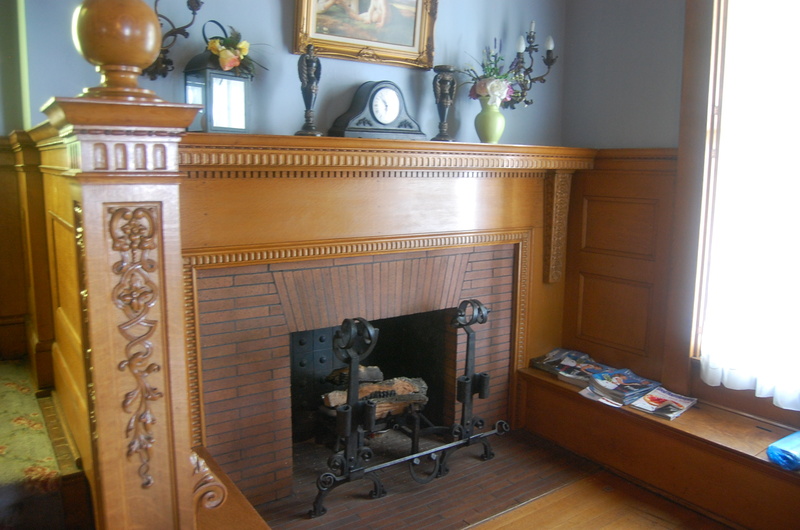 In this historic mansion, visitors enjoy formal sitting and dining rooms with originial woodwork and ironwork as well as stained-glass windows and gas fireplaces. 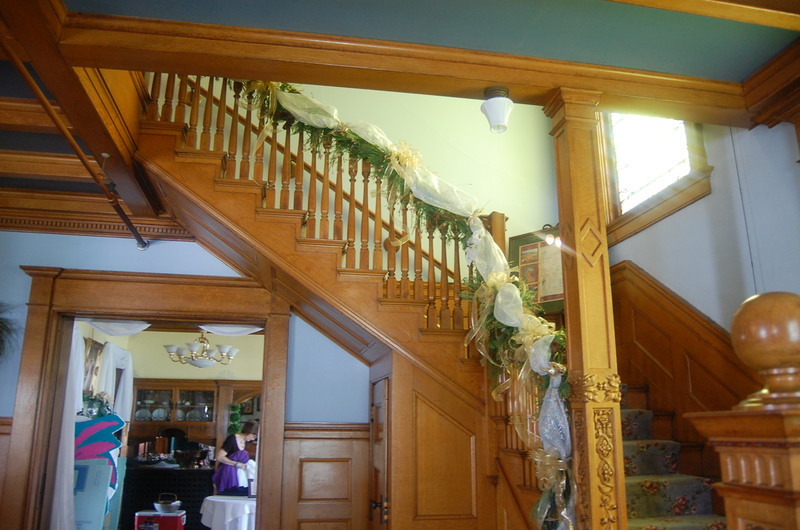 The Italianate architecture offers the perfect setting for social gatherings, corporate events, weddings, rehearsal dinners, bridal showers, baby showers, birthdays, anniversary celebrations, open houses and holiday events. Situated in the historic downtown Greenville district, St. Clair Manor is within walking distance of restaurants, shops and entertainment. 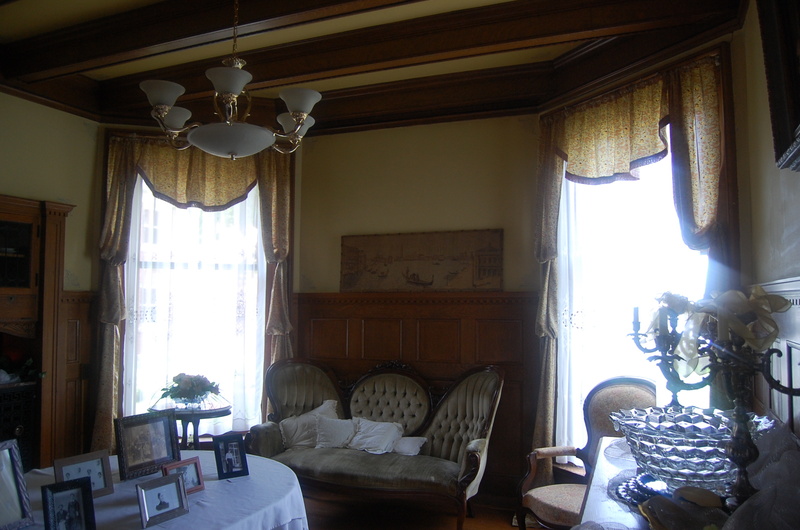 Pictured is one of the dark and ornate rooms. 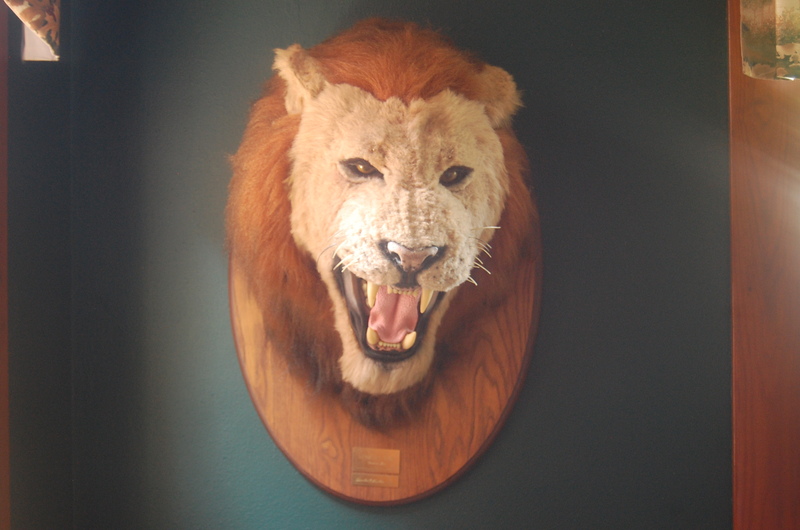 A close up of the lions head. I am not convinced it is real. 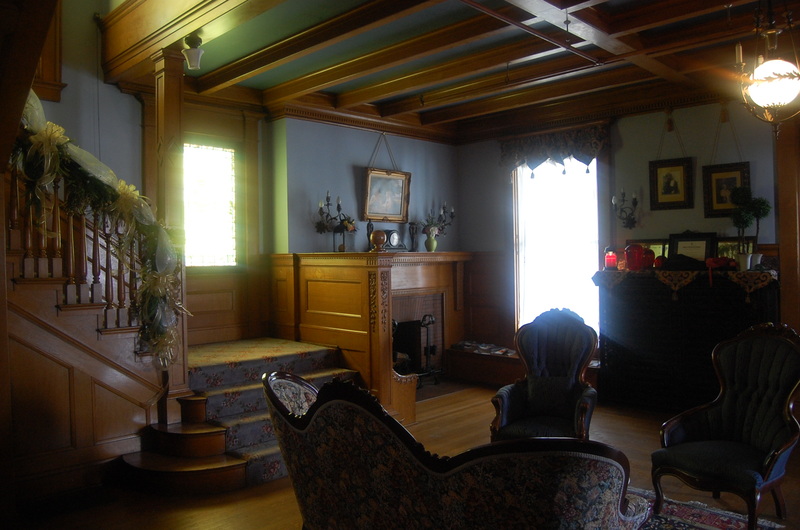 The living room, lots of wood and I think the stairway is quite pretty. A better look at the stairway. Pretty garland adorning the railing. I always enjoy stained glass windows. 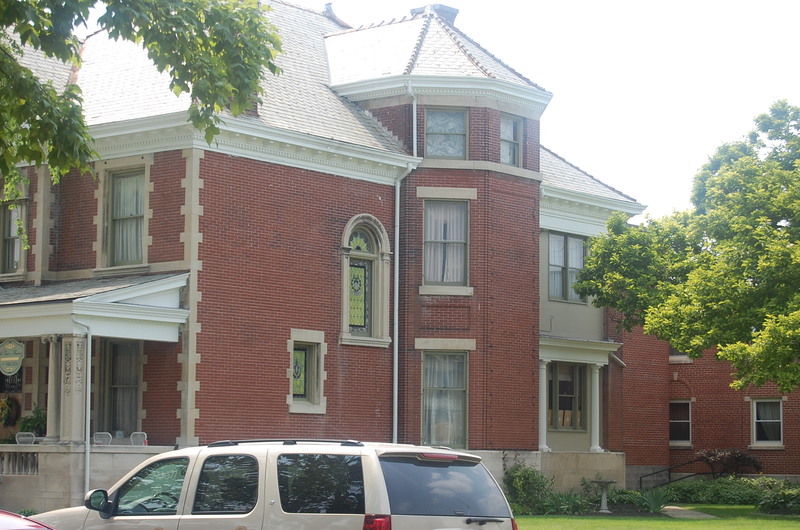 Here it is on the outside of the house, it is the lower one. 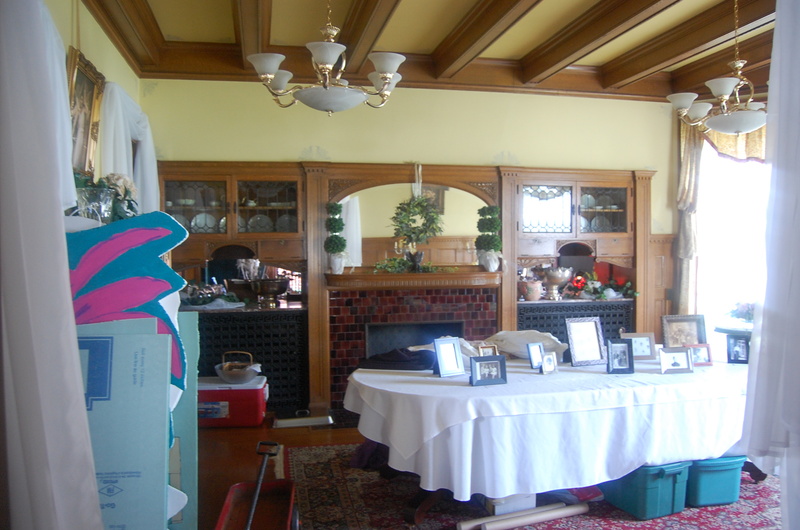 The dining room. I was impressed with the built ins. The end of the dining room bows. 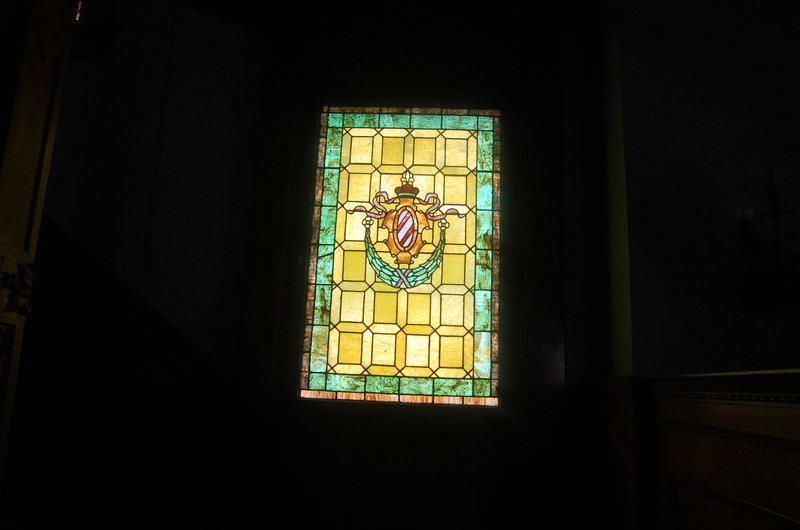 You can see it in the outside picture with the stained glass window. 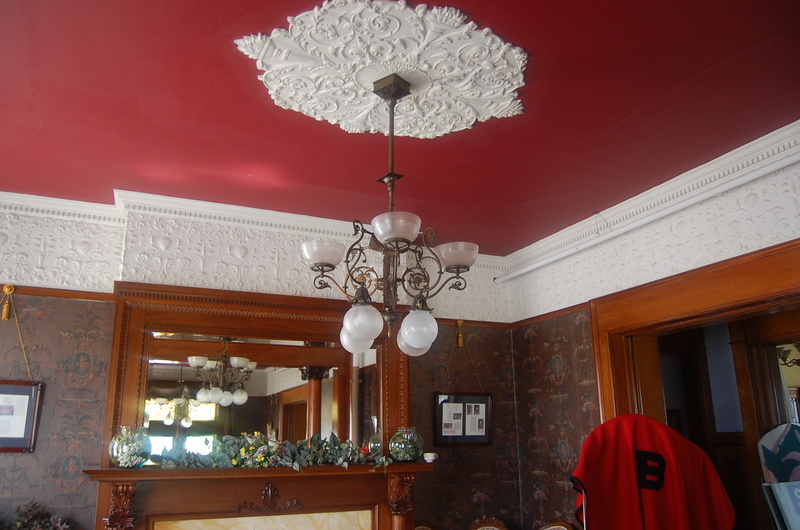 The ornate ceiling and decoration around the room. 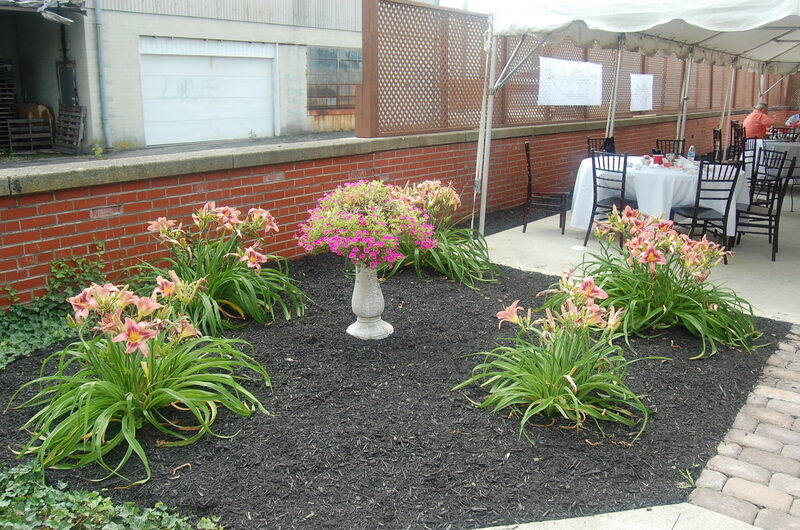 The grounds were nicely groomed and the tent was a nice place to have the guests sit. The weather was perfect, warm but not too much and humidity was low. 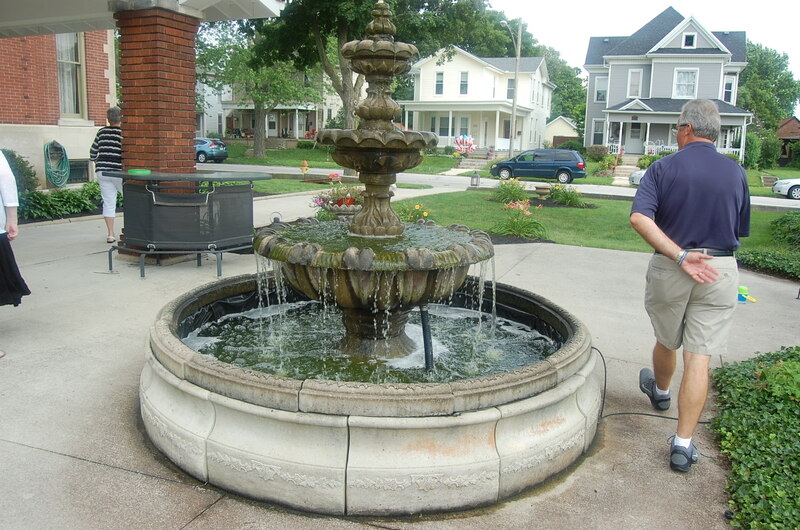 The working, 3 tiered fountain was very, very nice. My husband and I were getting ready to depart. We were having friends over for a cookout in the evening, along with swimming and watching the fireworks all around us. It was a great holiday weekend! I hope you did too and lets have a great week ahead! Thanks for stopping.